For music that feeds your soul and makes you smile, you're in the right place. Atlantic Street Band plays a mix of traditional Dixieland jazz (from the early 1900s) and New Orleans inspired covers of relatively more recent songs (late 20th Century to today). Atlantic Street Band can list a large number of South Australian councils and government bodies as our clients in addition to the many corporate and private engagements at which we have performed. If you're planning an event don't hesitate to contact us for an obligation free chat and/or quote. We play all kinds of events and can adjust our lineup to perfectly fit the size of your event and whether it's indoors or outdoors. We have a completely acoustic option requiring no electricity which makes this option perfect for outdoor events such as wedding ceremonies and garden parties. Our indoor options work really well starting the evening as background entertainment and lifting the energy level throughout the night so that those who feel like dancing can hit the floor, but those that want to keep mingling can still chat without having to yell. Atlantic Street Band is based in the Festival State of South Australia in Australia's UNESCO City of Music, Adelaide. 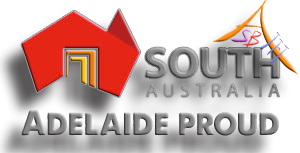 While we enjoy playing at interstate and international events, we are still proud to be from the vibrant city of Adelaide.